Recently, the 2017 Kia Soul earned a spot on the 10 Best Family Cars of 2017 by Parents Magazine and Edmunds.com. This is the 10th consecutive year that the parenting and car experts have teamed to hand out the awards, which recognize the vehicles that offer the value, performance, safety and family-friendly features that families on-the-go require. The 2017 Kia Soul offers buyers a choice of three trim levels. The base model is available with either a manual or six-speed automatic transmission, while the Kia Soul Plus comes with a six-speed automatic transmission and the Exclaim trim level features a 201-horsepower turbocharged engine. In all trim levels, you have an abundance of premium features, like panoramic sunroof, to add your own distinctive touch to the funky Kia Soul. 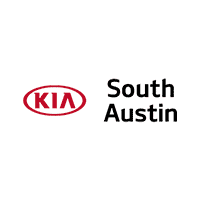 To find out more about the 2017 Kia Soul, contact Kia of South Austin and ask to talk to one of our knowledgeable team members.